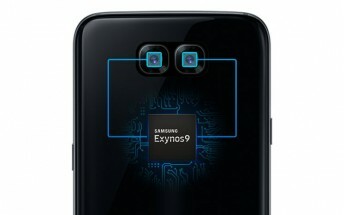 Samsung has released an ad on its Samsung Exynos twitter account, promoting the company’s Exynos 8895 and its Dual ISP (Image Signal Processing), indirectly confirming that a future Exynos 8895 device would be equipped with two cameras. Take great pictures. #Exynos8895 with #DualISP for#DualCamera. The image contains a generic placeholder for a Galaxy smartphone with dual cameras. The question is, when will we actually see a Galaxy phone with two cameras? Well, there are a couple of possibilities: the dual camera debuts on the Galaxy S8+, or the future Galaxy Note device may be the one to debut a dual camera, also a device to be powered by the same Exynos 8895. When do you think we’ll see a dual-eyed Samsung Galaxy?